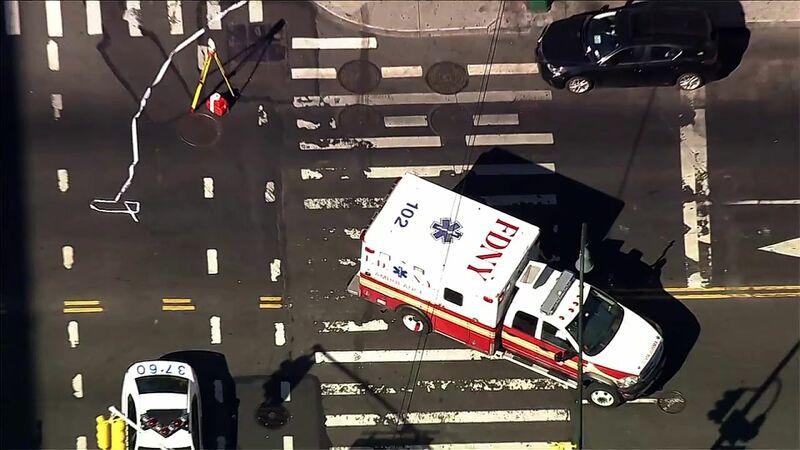 EAST VILLAGE, Manhattan (WABC) -- An 81-year-old man is dead after authorities said he was hit by a fire department ambulance in the East Village Monday afternoon. The New York Police Department said Gen Zhan was crossing a street about 2:20 p.m. Monday when the ambulance hit him. He was found on the pavement with severe body trauma and was taken to Bellevue Hospital, where he later died. The ambulance was responding to a call around 1:15 p.m., and was turning at East 14th Street and Second Avenue when it struck the victim. Zhan was taken to Bellevue Hospital. Authorities said the ambulance struck Zhan while he was in a crosswalk. The operator of the ambulance remained at the scene.